Current FOCUS analyzing shows interesing results to usage of Leaflets. The current results of „LERES“ (LEafletREsearchStudy) show a high usage of Leaflets by European customers. 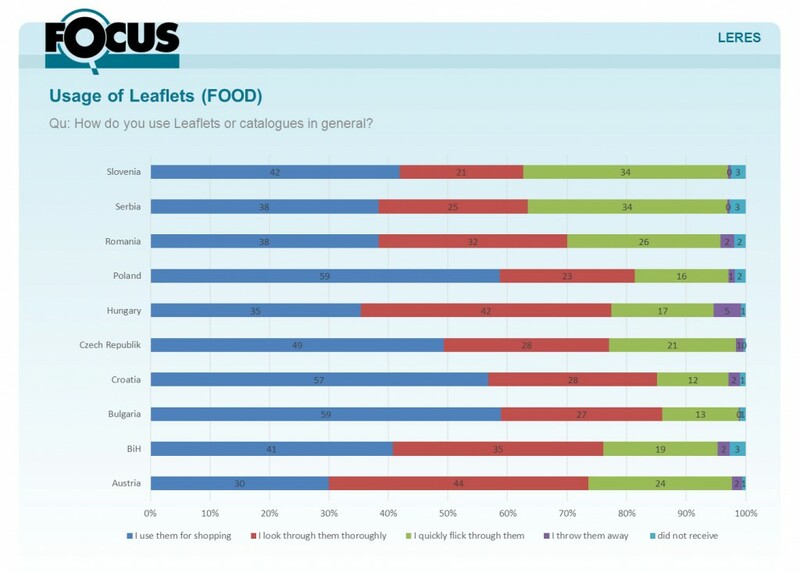 Much more then the half of asked consumers use the leaflets from Food-Trade for shopping or look through them thoroughly. Poland, Croatia and Bulgaria are the leaders and therefore the countries with highest usae of leaflets in that area. FOCUS analyzed in a very detailed Online-Survey the medium „Leaflet“: usage, likeability, format, content, reach and many, many more.